See you at the printers’ fair? We’ll be at the second-annual Letterpress Printers’ Fair in downtown Lancaster, PA, this Sunday from 11-5. 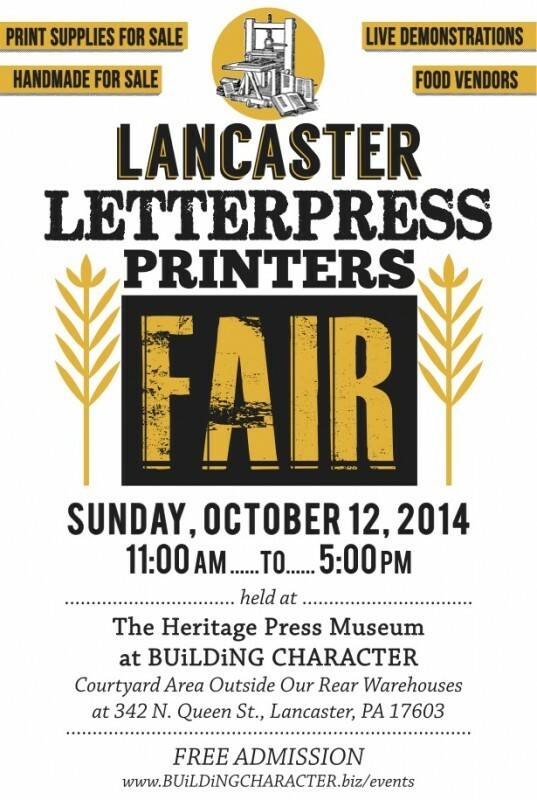 It’s the only printers’ fair in the area, and it’s a good one. 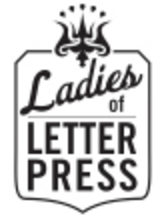 We’ll be representing Ladies of Letterpress, and will be selling t-shirts, printers’ aprons, baby onesies, iron-on patches, and more. The fair is held behind Building Character, a neat old factory replete with antiques, crafts, as well as local printing outfit the .918 Club’s historical print shop. Food trucks will be there too! Come on out, enjoy the fall weather, and meet some real-live printers. Sounds good to me.